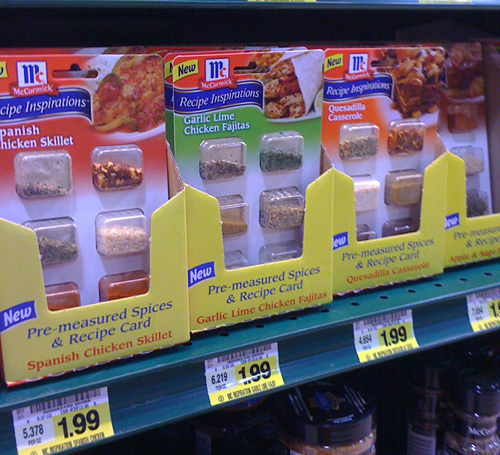 I was at Harris Teeter the other day and caught this little delighter – pre-measured spice packs combined with recipes. I wished this was around when I was in college, I would have saved myself tons of bland meals because I was too cheap to buy all the spices I needed. Aside from actually solving for a problem that exists, what I love about it is that it probably didn’t cost a fortune to develop. 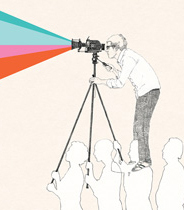 It simply re-proportions existing products. It reminds me of a marketing trend of packaging smaller portions of goods to bring down the price so that consumers in developing countries can afford them. I realize that this is technically not a “delighter” per se, but the solution itself sure delighted me anyway! 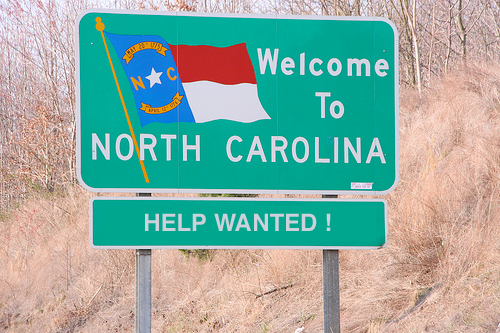 In a move to spur job recovery in the state, Governor Bev Purdue announced the creation of an NC Innovation Council today. It’s part of a larger initiative called JobsNOW and looks to accelerate ideas and foster collaboration within the public and private sectors. I still think it’s a good idea. I’m crossing my fingers that this one offers more solutions than press releases.